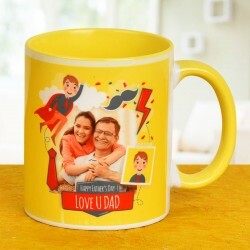 Send some amazing Father's Day gifts online anywhere in Mumbai from our Father's Day gifts collection. With us, you'll never be out of options! So just go ahead and browse through a gamut of adorable options to pick and send online. 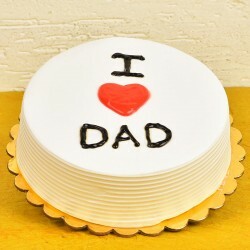 Every child likes to believe that their dad is the best dad in the world. 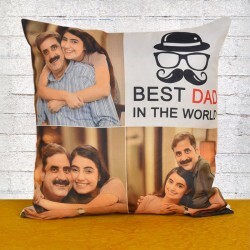 This makes them want to wish him Father's day with a unique gifts. 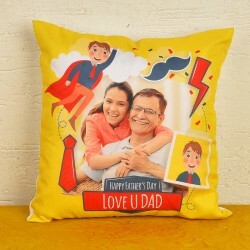 Father's Day is the celebrated day popular all over the world to recognise the labour that goes into being a good dad and to pay tribute to them. 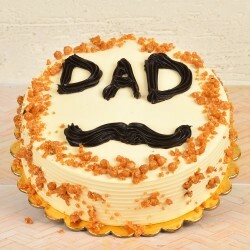 Your dad is someone who placed his whole confidence in you, and offered support in most difficult of situations. He is the subtle secret to your success story. 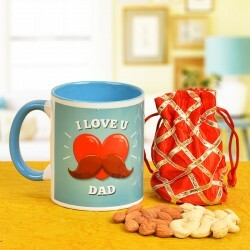 With unparalleled magnitude of sacrifices that he has made to see you grow up, your dad deserves every little joy that you think of bringing to him.It's time you send over some Father's Day gifts to Mumbai and show him how you cherish his presence in your life. 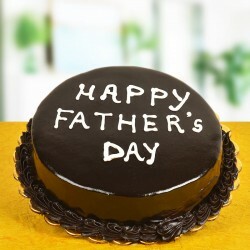 You will be elated to look at our amazing line-up of gifts for Father's day. 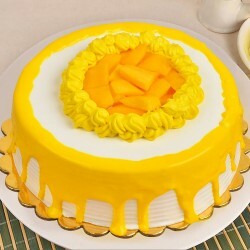 We have a wide range of designer fondant cakes or themed photo cakes and even classic cakes to please his sweet tooth. Our grooming kits are an assortment of bathing and dressing essentials that make him the gentleman that he is. 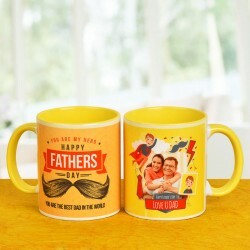 So, choose from the best and get father's day gift delivery in Mumbai. 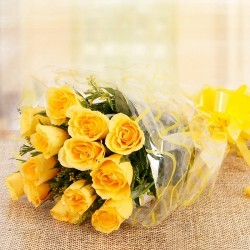 Our Father's day fresh flower bouquets add color and cheer to his days. 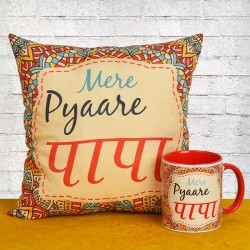 We also have on offer sumptuous chocolates, dry fruits packages, sweetpacks and some personalized gift options like mugs and cushions that make fine gifting ideas. Send him down the memory lane, by getting a set of our personalized mug and cushion combo. This Sugar Free Mixed Fruit Cake lets your diabetic dad enjoy a blissful treat that comes loaded with seasonal fruits, wispy cream and layers of moist cake with fruit toppings. Another MyFlowerTree exclusive is this Aromatherapy Gift Set that works wonderfully to rejuvenate the ambience of his room with its vivid features like aesthetic looks and a velvety fragrances that blend well with the air. Come on, let the Father's Day 2018 celebrations begin now! MyFlowerTree is a trusted gifting and delivery portal that operates Pan India and delivers gifts in more than 100 locations. 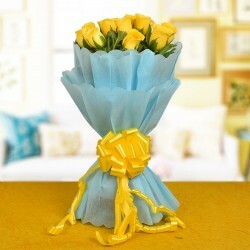 Our diverse collection of occasion centric gifts are likely to come to your rescue when you are looking for options. 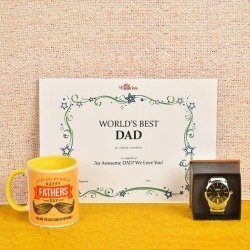 Take a look at out our unique range of father's day gift ideas, that can surely make your dad feel appreciated. 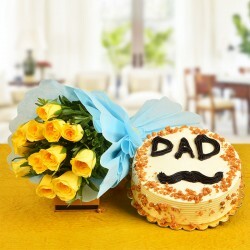 You can send father's day flowers to Mumbai at midnight and nail a befitting surprise, this will really catch him off guard. We have a gift to suit different types of personalities. We also operate internationally and cover all the major centers are covered like the USA, UK, UAE, Canada, Australia, etc. No matter how distant are you from you dad, a few clicks and your love can reach him safely.